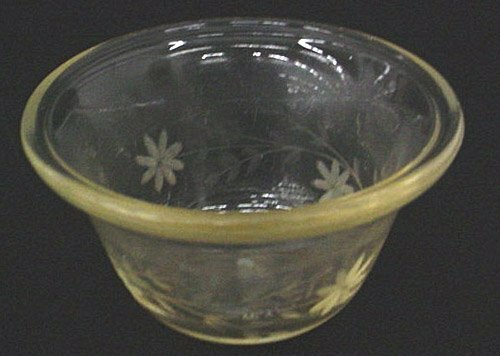 Engraved Pyrex Custard Cup, Corning Glass Works, made in Corning, NY, probably 1917-1925. Gift of Corning Inc., Dept. of Archives and Record Management. 98.4.173. “See how Pyrex ware can make your wartime meals the best you ever tasted,” Corning Glass Works, Published in Life, March 29, 1943. CMGL 143880.